prone to wander...: Simply put, What is wrong with me ?? 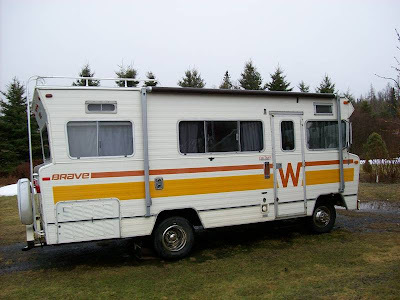 ...saw this beast on Kijiji, and I want it so bad. The year is not mentioned but I'm guessing '75 or so. Luckily, there's no price given, so that will help me avoid the gnawing desire. 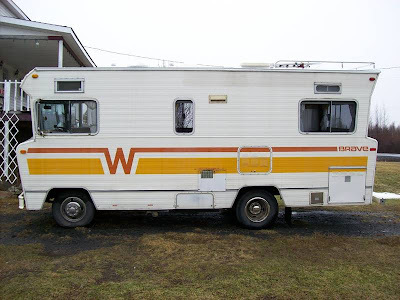 Why would anyone buy a 30-odd year old RV? What's my problem ??? I believe the answer to your question "What is wrong with me" is that you have WAYYYYYY to much time on you hands!!! Your wife definately needs to get you more work around the house or some kind of extra curicular activity!! Mad I tell you MAD!! !